Hey everybody! We’re back with new coupons and news from Natural Balance Pet Foods. If you follow us on Instagram or Facebook you probably know that our Daisy had ear surgery a few weeks ago and is still recovering. While that’s kept her from enjoying the great outdoors, it hasn’t slowed down her appetite for sniffing out a deal to share with our fellow dog lovers! 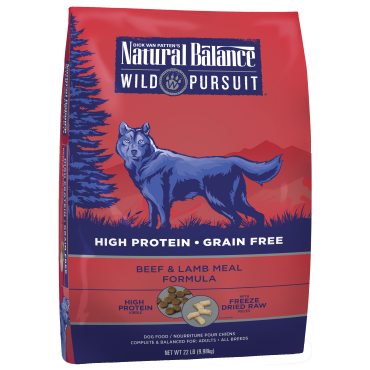 Daisy ONLY eats Natural Balance Wild Pursuit so we are super excited about this new $5 OFF coupon good toward any 10 lb or larger bag of dry dog food or cat food. Print this Wild Pursuit Coupon and use it by 4/30/16 when it expires. If you like to shop at PetSmart or Petco, you can also stack this manufacturer coupon with a store coupon, sale and or loyalty rewards voucher for even bigger savings! Natural Balance is available at many local pet supply stores so check the store locator here to find your nearest location. Find more Natural Balance Coupons on the Natural Balance Facebook Page . We also want to let you know that there’s a new option available for meat lovers. It’s Wild Pursuit Beef & Lamb Formula. 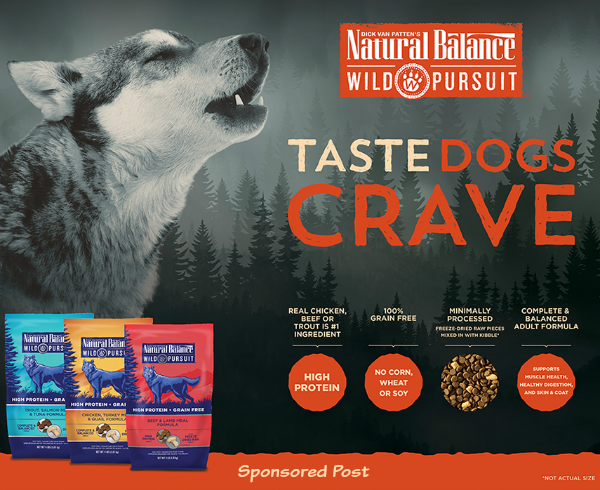 As with all varieties of Wild Pursuit, this one is 100% grain-free and designed with complete and balanced nutrition for adult dogs. This delicious, high-protein diet provides a taste to satisfy your dog’s primal cravings as well as peak nutrition your best friend desires. Real meat is the #1 ingredient and your dog will love the minimally processed, natural freeze-dried raw pieces mixed in with crunchy kibble. Head on over the the Natural Balance website to learn more about their pet food and treat selection and their Buy With Confidence Program which tests every production run of Natural Balance pet food. Not only do they test all products in their state-of-the art in-house laboratory for nine known contaminants before they reach store shelves, but you can find actual laboratory results posted in real-time on the site. As pet parents, it’s great to know that they are making health and safety a priority for our fur kids!